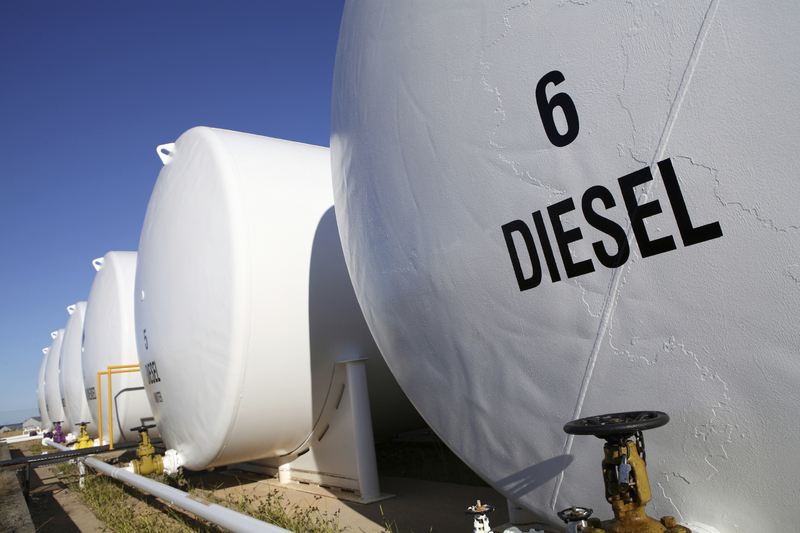 Here are 5 things you may not know about diesel fuel and the diesel fuel additives used to treat it. We like to call them 'the things you never knew you didn't know'. The image of a diesel engine most people have is black smoke belching out of the tailpipe of a big rig. So they transfer that image to a car and imagine diesel cars being dirty and noisy and generally not worth their time. But it's time to shift the thinking on that. Diesel cars today perform just like their gas-powered counterparts and look just as nice. The image of the noisy diesel engine with smoke belching out the back is long, long gone. But what isn't long gone is the great mileage you can get with a diesel car - 50 mpg or more. Like we just said, the image of the diesel engine belching black smoke is a thing of the past. Granted, there may be some old smoking diesels that were made back before the new requirements, but those are becoming fewer and fewer as they die out. In the last 10-20 years, the government has required diesel engine makers to install special emissions control equipment that have really helped clean up the air by keeping diesel fuel pollutants from getting into the atmosphere. All diesel engines made now have things like particulate traps and filters that trap all the black smoke that used to be dumped out into the air. Not to mention that the diesel engines themselves are more efficient and are constantly being improved, such as with the new "common rail diesel engines" they're making. If you compare the ASTM specification sheet (the properties list) for gasoline and diesel, diesel seems to have more properties that need to be protected by additives. There certainly are more diesel fuel additives out in the marketplace, both with multi-functional additives and the single function treatments that fuel suppliers have to use in order to make sure the diesel they're supplying performs the way it legally should. Some of this may have to do with the fact that gasoline is more highly refined, whereas diesel is a heavier fuel and so is more prone to going "off-spec". Lubricity, cetane rating, cold weather performance, stability - all of these are essential properties that have to be protected by additives, and which gasoline generally doesn't have too much of an issue with (except for maybe stability, but only if you add ethanol to it). Diesel fuel is the choice of industry, and business rely on being able to store fuels for later use. So a storage tank of diesel fuel is more likely to be kept around for weeks or months than stored gasoline is. The longer you keep diesel around, the more likely it is to develop issues that will affect its own quality and the performance of the engines that its used in. Hence the need for additives like stability improvers to protect the fuel. Or if it's being stored in the winter, there's a need for a cold flow improver because diesel fuel gels up in wintertime in ways that gasoline doesn't, and business doesn't stop when the weather gets cold. Business teachers used to talk about how you can have the best quality and the best service for the best price - 2 out of the three at the same time, but not all three at the same time. The same is true of diesel fuel additives, or really any fuel additive. You can have something that does a lot of things, does them very well or effectively, does them at a very low treat ratio, and does them for low cost. You can have some of these but not all of these together. Check out how our diesel fuel additive compares to the competition (click to enlarge). If you've spent much time here, you know that this blog is run by Bell Performance and we make fuel additives as our primary business. Our biggest business for the longest time has been multi-function treatments for diesel (Dee-Zol) and gas (Mix-I-Go & Ethanol Defense) - they do a lot of things - give you better mileage, get rid of water, clean out your engine, protect your fuel system parts - at a fairly low treat rate (usually 1:1000 or 1 ounce to 10 gallons) for an inexpensive price (less than ten cents a gallon to treat). Since we've been around longer than anyone, we see all sort of new diesel and gas additives that claim to be able to do everything under the sun for nothing. We trust that our customers and prospective customers can see through a lot of that. But at the same time, the average person may not know enough to make the right assessment all of the time. For diesel fuel treatments, an additive that claims to do everything that Dee-Zol does plus raise fuel cetane rating, do it at a treat rate of 1 gallon to 30 gallons, and do all of that for, let's say, 3 cents per gallon to treat - that kind of company is relying on consumers not knowing that all of those things aren't possible at the same time. For that particular example, the issue is the treat rate and the price - you'd need more cetane improver alone than what that additive allows for all of its ingredients together. Are diesel fuel additives worth it? This post was published on April 21, 2014 and was updated on November 17, 2017.